The overall amount of spam emails dropped in 2015 as cybercriminals begin to switch their focus to using mobile communications to deliver malware. That’s not to say that email spam is going away; it still accounted for 55-percent of all email traffic last year and will likely hover around that mark in 2016. Kaspersky noted that email spam dropped by 11-percent last year, despite a massive surge that happened in January. The cybersecurity company believes that the early increase was due to the release of new top-level domain names that happened around the time. 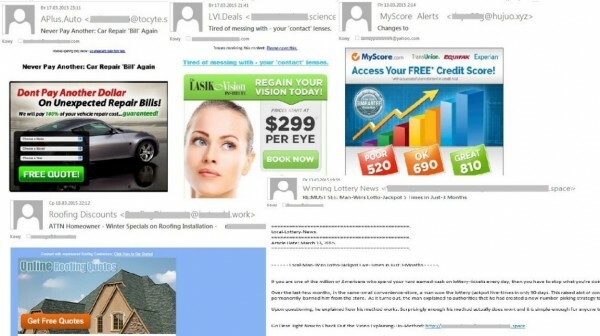 This allowed spammers to custom order domain names that suited their supposed activities. The connection between the spam email and the domain name slowly dropped off over the course of the year, which seems to indicate that owning a top-level domain didn’t help with scamming efforts. 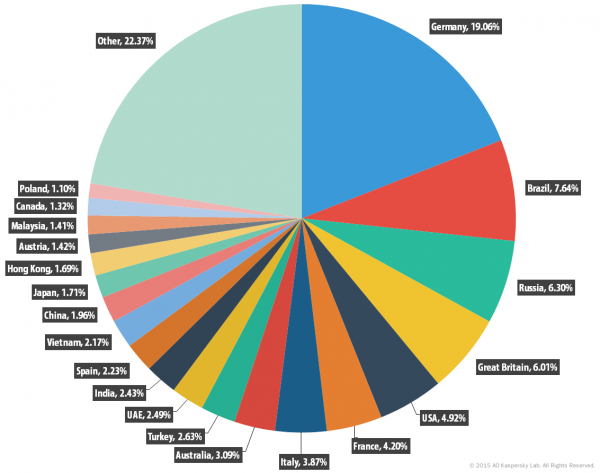 Other information collected showed that the United States remained the largest source of email spam in the world, while Vietnam took third spot from China. 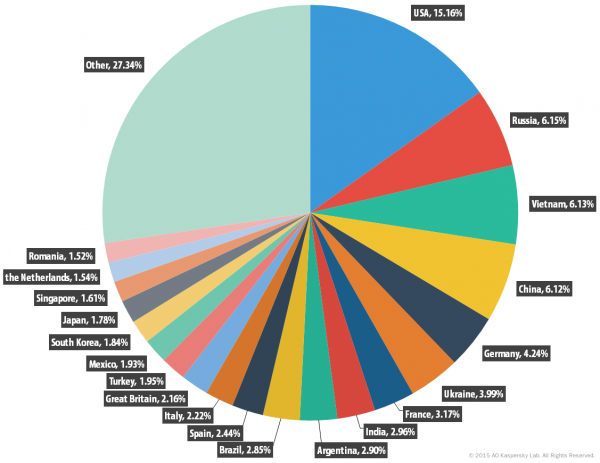 Most of these attempted attacks targeted Germany (19-percent of all attacks), while Brazil and Russia were second (7-percent) and third (6-percent) favourites for spammers. As is quickly becoming the trend, banks, payment systems, and online stores were the main targets for phishing schemes. Some 34-percent of all detected phishing emails were aimed at these institutions, a rise of 5-percent from 2014. Kaspersky expects that this number will increase in 2016 as cybercriminals begin to adopt the methods used by state sponsored attackers. Phishing emails are still playing on current events to trap the unwary, and popular themes from 2015 include the 2016 Rio de Janeiro Olympics, the Syrian civil war, and the earthquake in Nepal. The rise of mobile devices has also seen the rise of malware hidden in .apk and .jar files. Cybercriminals have also been using emails in order to spread this kind of malware, although it doesn’t appear to be all that widespread yet. Tags email scam email spam fewer email scams kaspersky kaspersky lab kaspersky lab spam email Malware mobile email scam mobile email spam number of spam email falls percentage of spam email source of spam email Spam email where does spam come from? where does spam email come from?